College of Saint Mary, 7000 Mercy Road. Opens Oct. 25, 5 p.m. 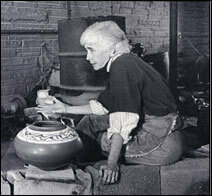 Sister Mary Lavey was an artist experienced in ceramics, painting, guitar, and photography. She spent 36 years as an art teacher, opened her own Earthworks Studio in Alamosa, Colorado, and has had her art displayed all around the world. On October 25, the College of Saint Mary will be hosting an exhibit showcasing her collection of ceramic pieces, jewelry, and photography. This event is free and open to the public.